We can design and build a modern infrastructure to handle your business's IT requirements and then help you support it. We can apply our knowledge to help solve your problems. We have helped many large organisations, including FTSE 100 companies, with our specialist IT skills. We can provide your business with an Internet presence. We have built dynamic web sites that have driven over £1,000,000 of sales for our clients. Standtech Systems have been providing IT consultancy and software development since 1998. We have a wealth of experience in a variety of areas and specialise in the Microsoft/Wintel platform. We have over twenty years experience of Microsoft operating systems and back office server applications alongside Intel/AMD based desktop and server hardware. This is backed up with extensive use of network hardware from the likes of Cisco, Netgear and Juniper. 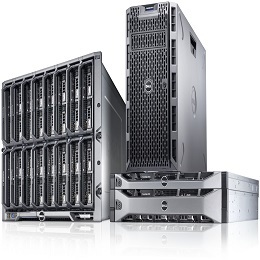 We always recommend the Dell Poweredge brand of server hardware for its excellent combination of performance and cost. We created a bespoke invoicing/delivery system based upon Microsoft Access to ensure it could be easily picked up and altered by anyone in the future. We were taken on by Fujitsu to carry out software application packaging for an operating system upgrade for their client HMRC. We were tasked to both package and deploy Babergh's applications as part of a Windows 7 desktop upgrade. This also encompassed an upgrade from Microsoft SCCM 2007 to SCCM 2012 R2.